It’s 2016 and Slotsquad is patrolling UK casinos and mobile slot sites like never before. Our latest bonus source involves lots of birds. 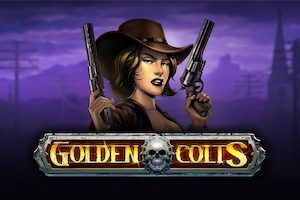 A unique slot design from Thunderkick and 350 free spins at Glimmer Casino. Put that all together and it’s a chance to play Birds on a Wire with 350 free spins. The game that replaces rolling reels with flying birds, electrocutes finches with High Voltage Multipliers and pays up when the cats out of the bag. The Birds on a Wire Free Spins Promotion is running throughout most of January at Glimmer Casino. Free spins are available till 23/01/2016. To qualify, simply join up at Glimmercasino.com. You’ll get £5 free no deposit to play Birds on a Wire betting at 0.10 a spin. That’s 50 free spins. For real money slots players, an additional 300 free spins are up for grabs if you deposit £30. Glimmer will then match this bonus with £30 for Birds on a Wire, at 0.10 a spin, that’s 300 free spins and a total of 350. 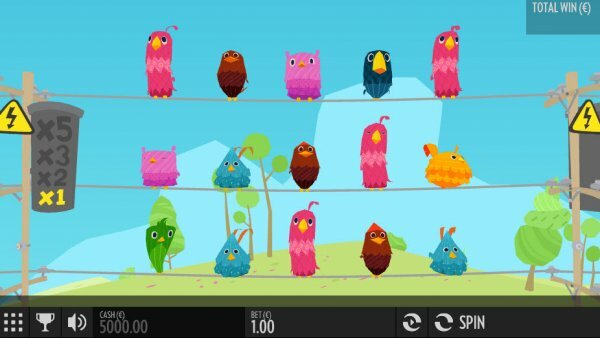 Birds on a Wire is a 15 reel, 17 pay line bird themed video slot powered by Thunderkick Software, one of the gaming industries most innovative games developers. Using power lines instead of conventional reels, Birds on a Wire features flying birds, sideway gameplay and dropping symbols to completely re-invent the way we play online slots. With spins from just 10p per play, real money slots players get access to High Voltage Multipliers, a Free Spins Bonus including Inwinity Spin and winning birds that explode and quickly replaced with more birds.